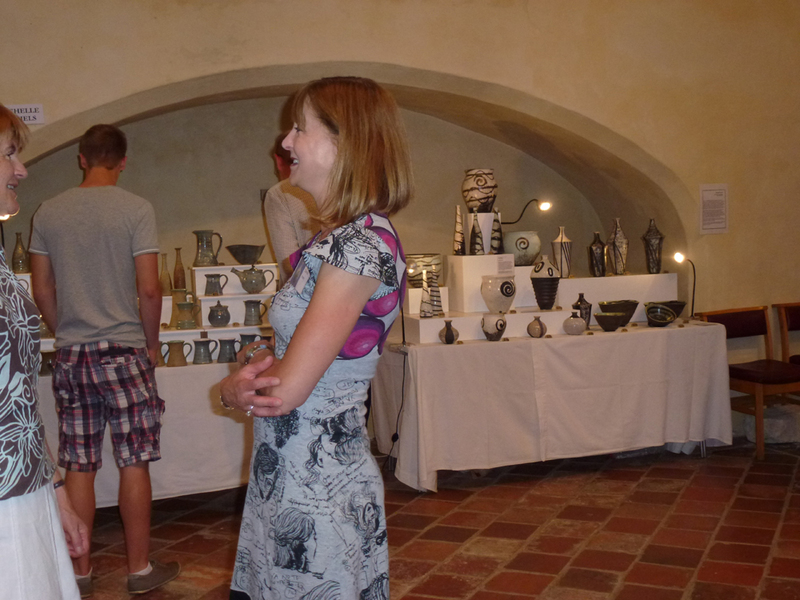 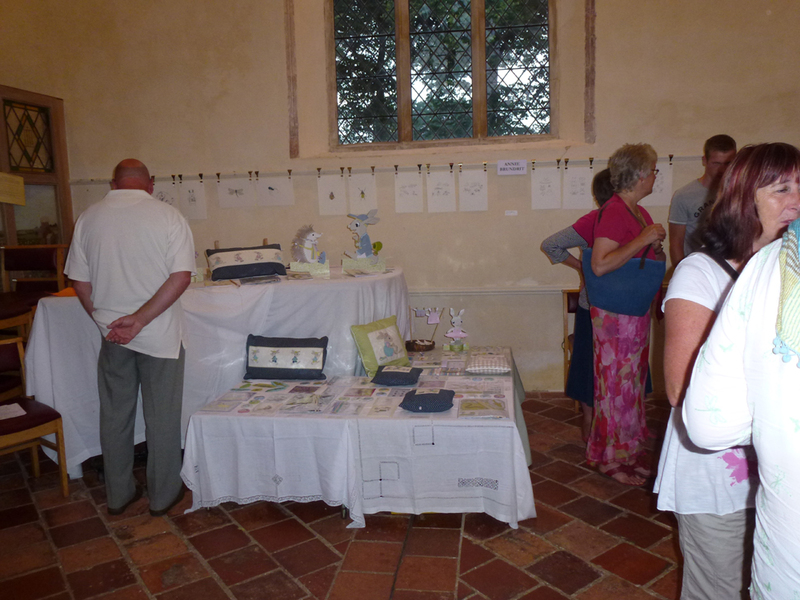 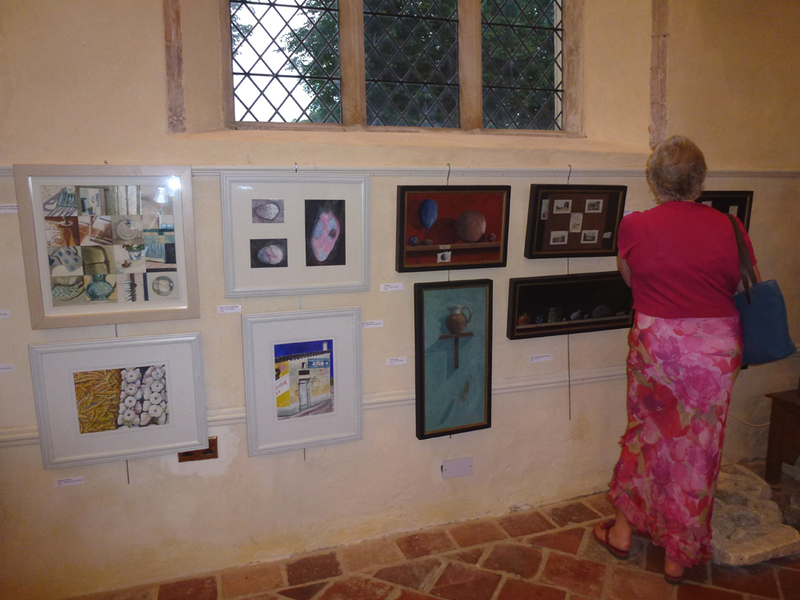 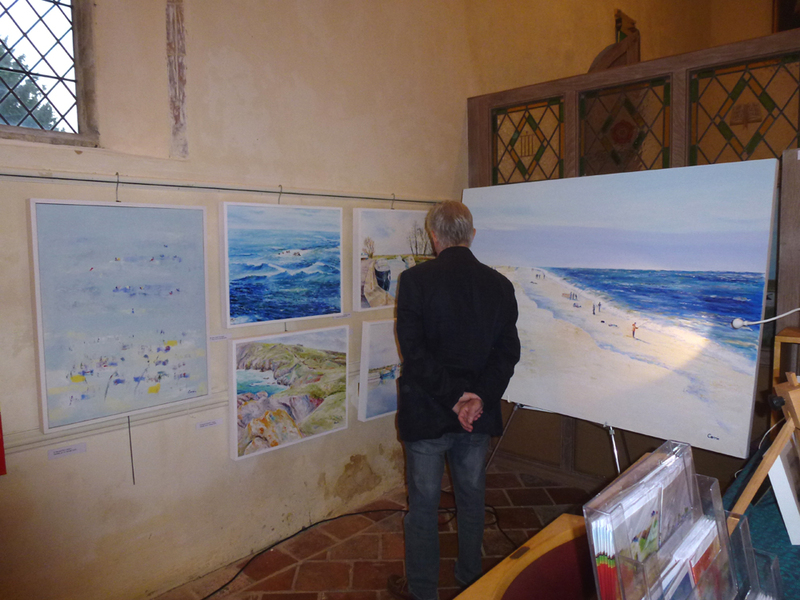 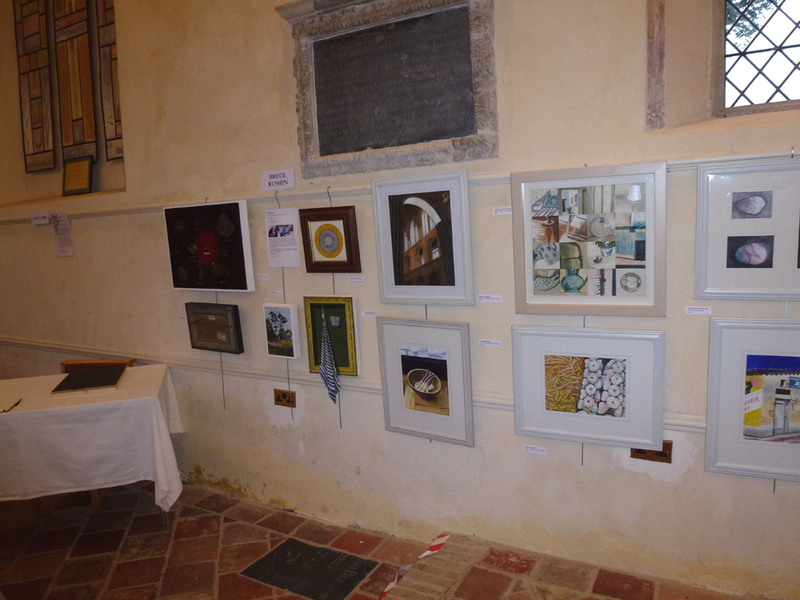 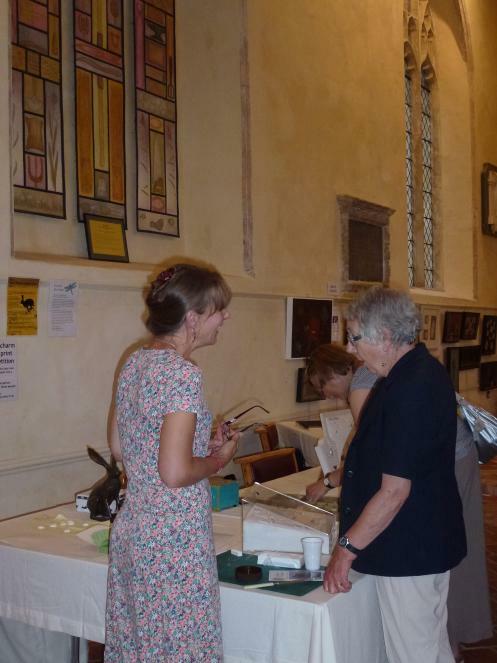 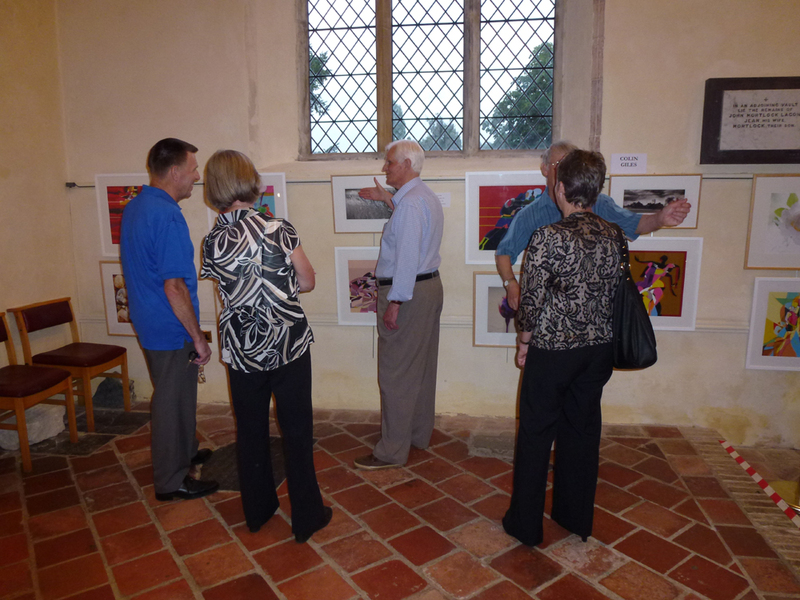 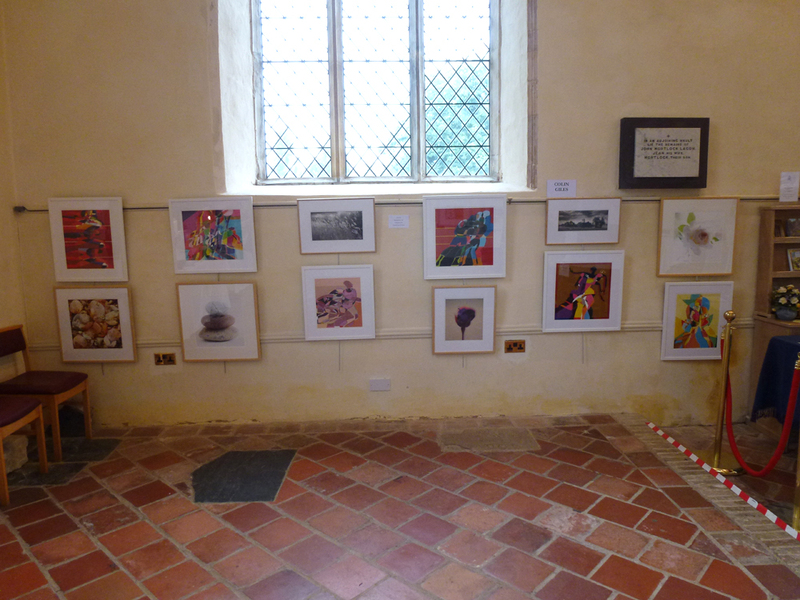 A balmy fine summer evening was the setting for our opening night at St Lawrence art centre, South Walsham. 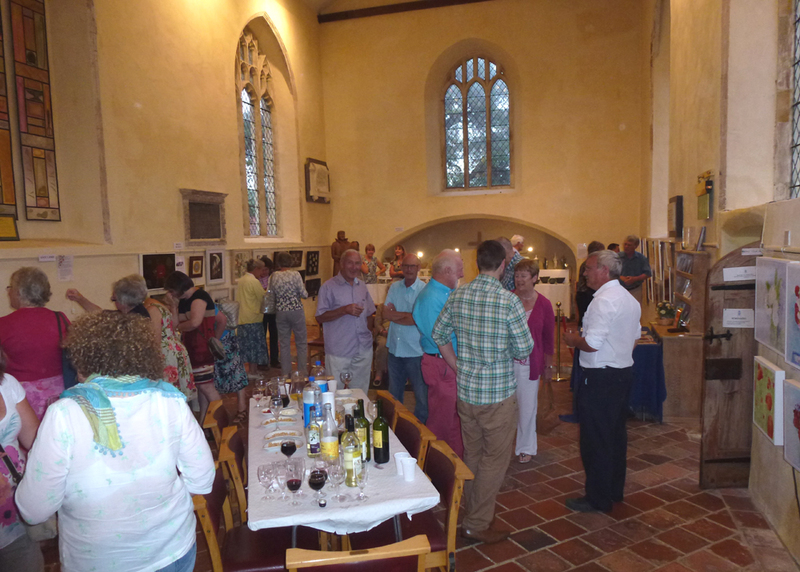 The wine and nibbles flowed and the conversation got very animated. 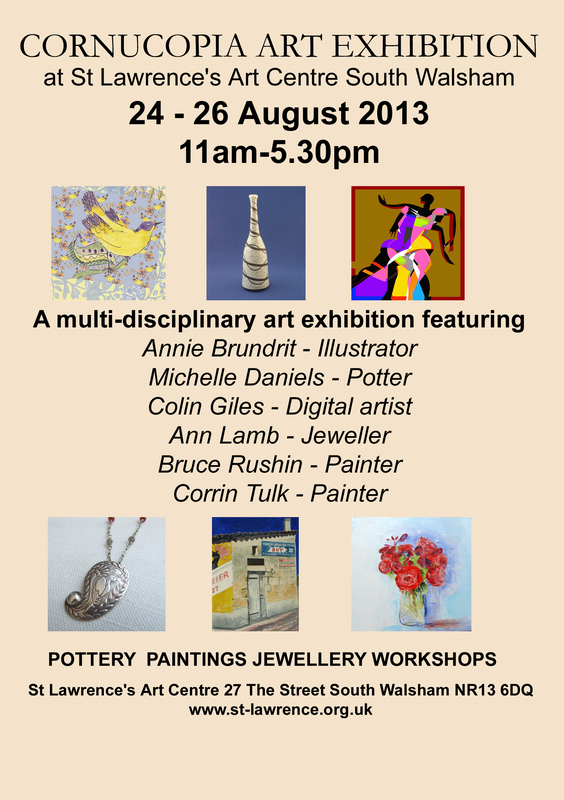 If you haven’t visited already there is still time to enjoy the art, yummy cakes and scented garden! 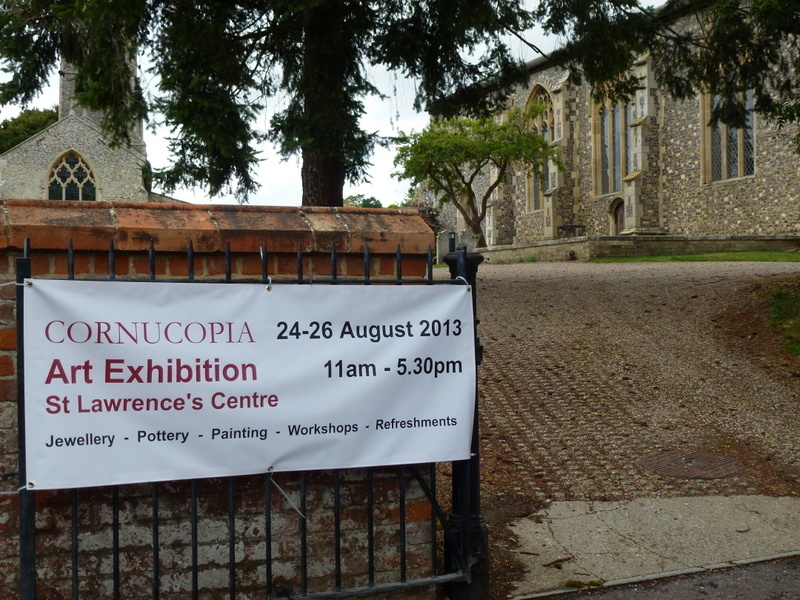 Only a few days to go before our Cornucopia art exhibition opens at St Lawrence art centre! 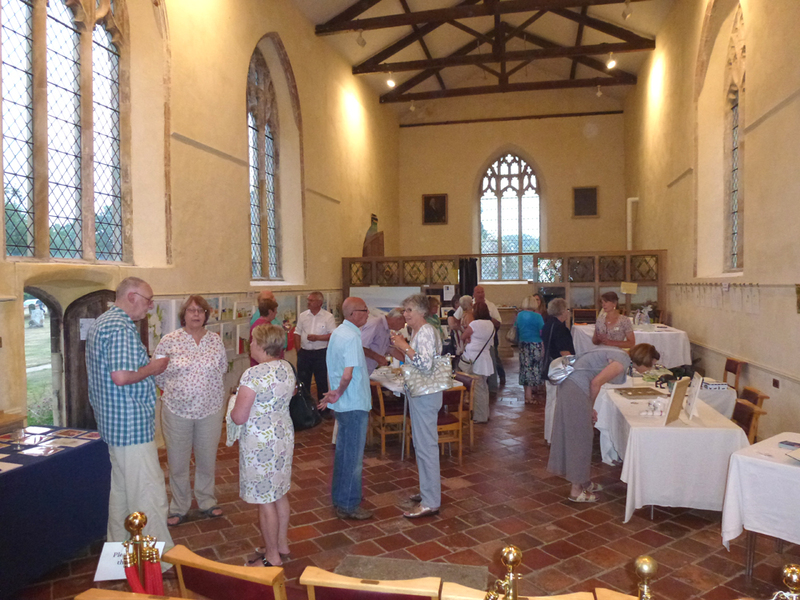 A beautiful 12 Century Church in the heart of the Norfolk Broads. 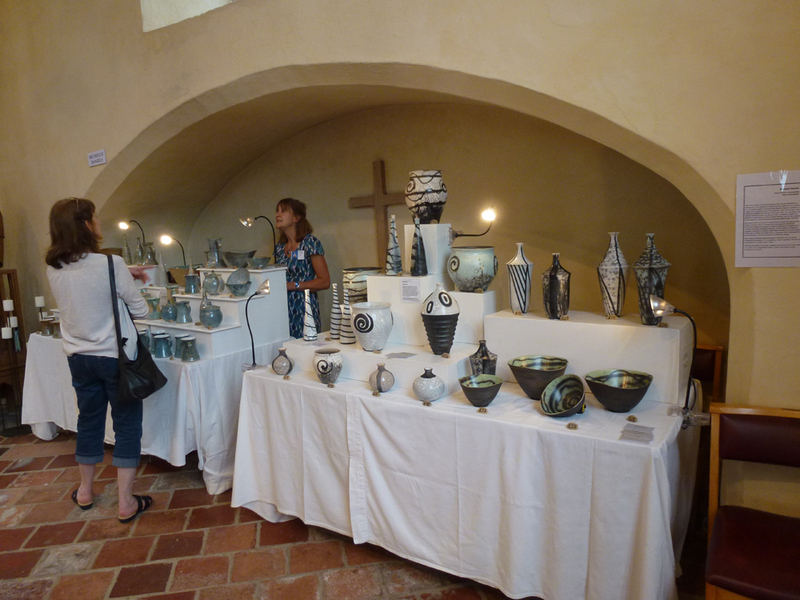 You can see more details of workshops and studios photos on our facebook event page here. 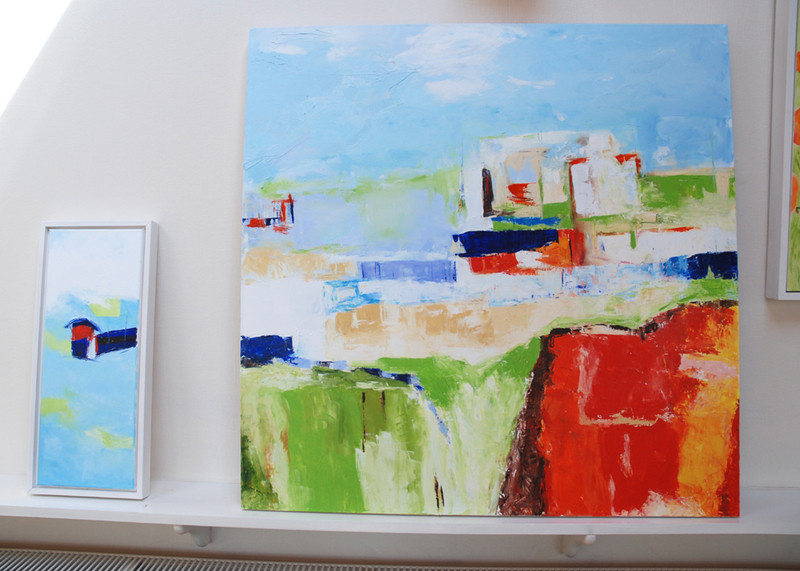 The big abstract that I have been working on since February as part of the Caister series is finally finished. 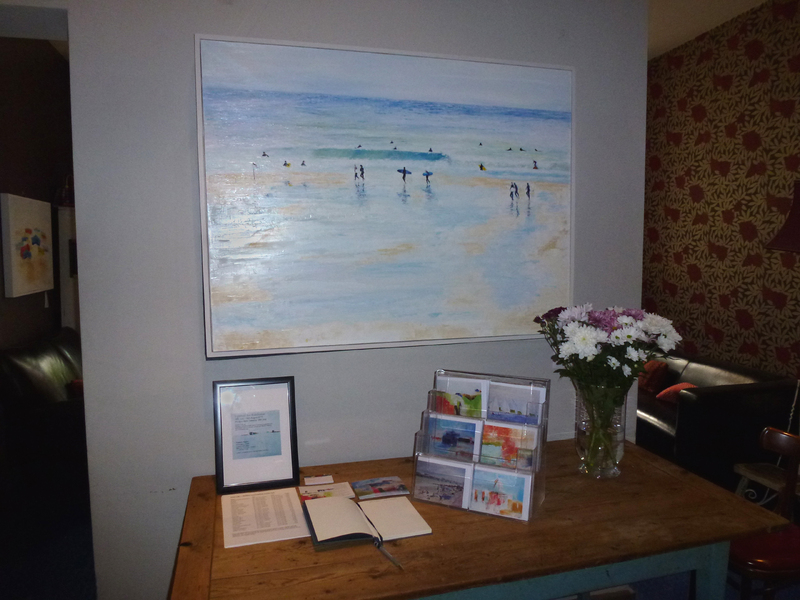 The smaller piece is of the life boathouse on the beach. 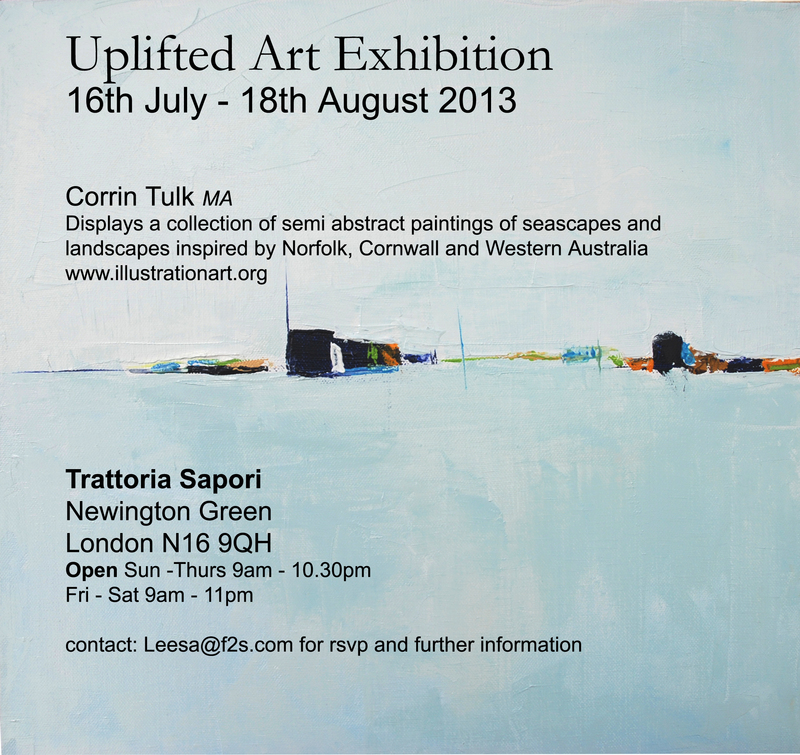 I will be showing it at Cornucopia on the bank holiday along with the other Caister abstracts and recent ‘roses’. 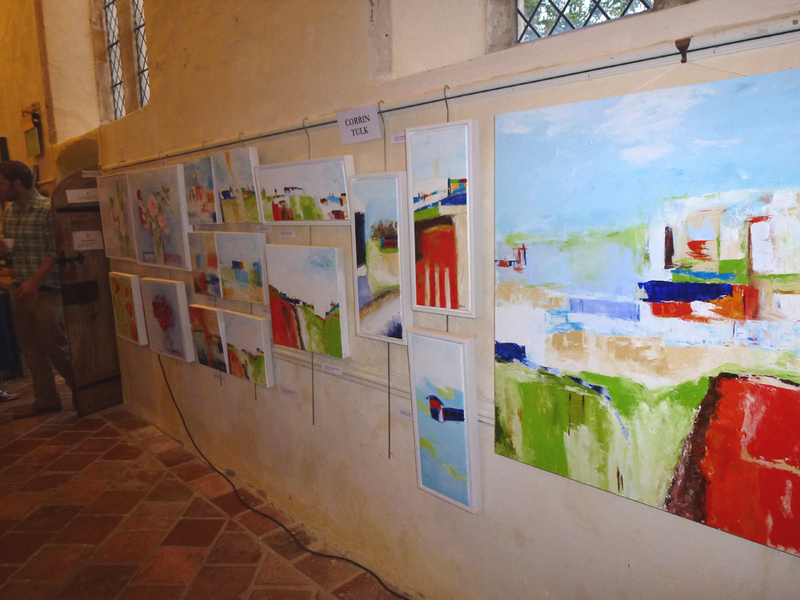 Please visit if you get the chance. 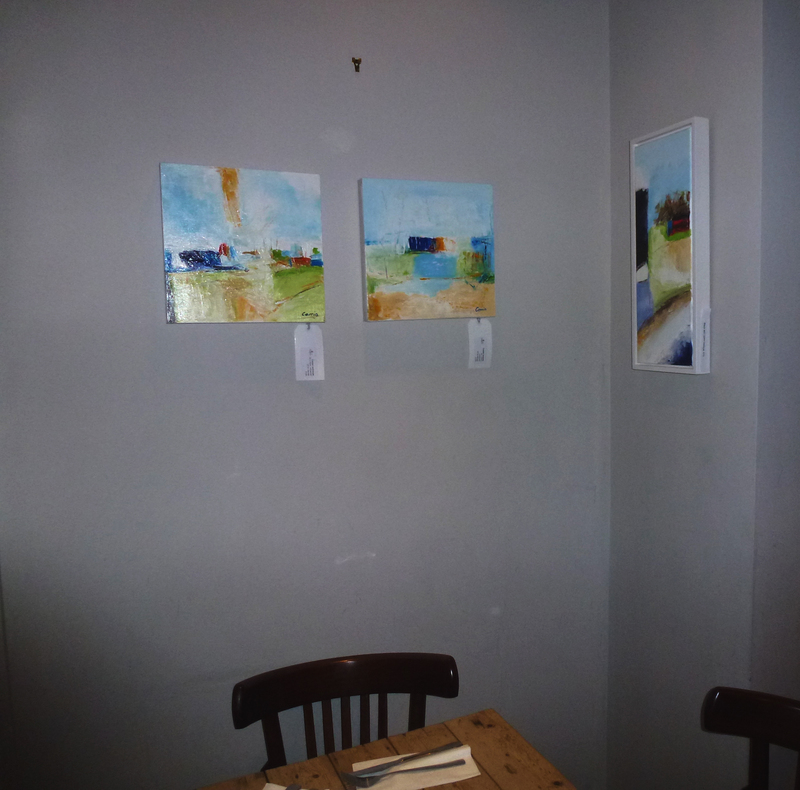 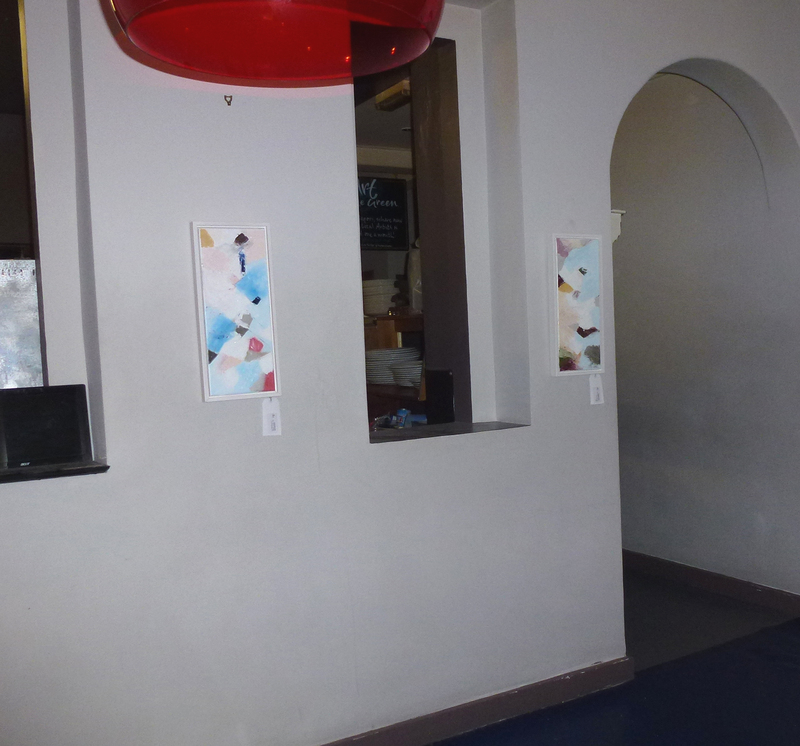 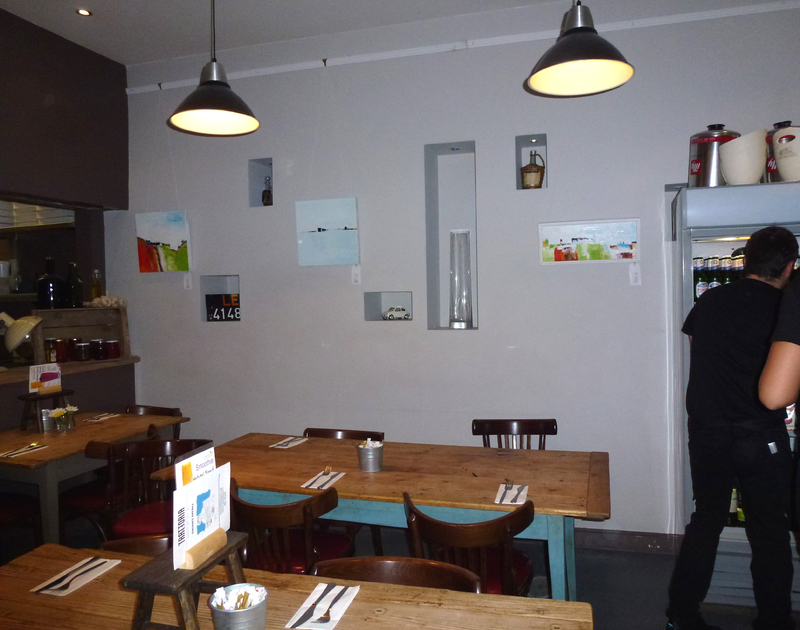 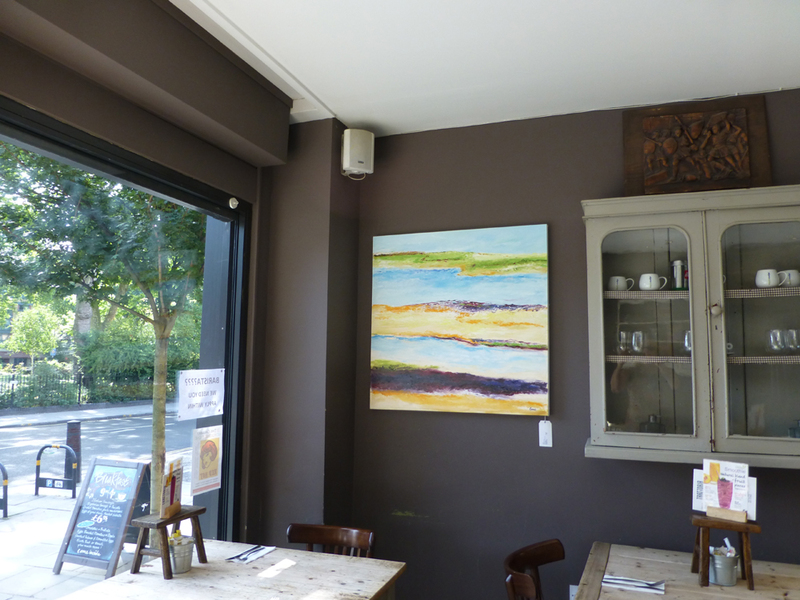 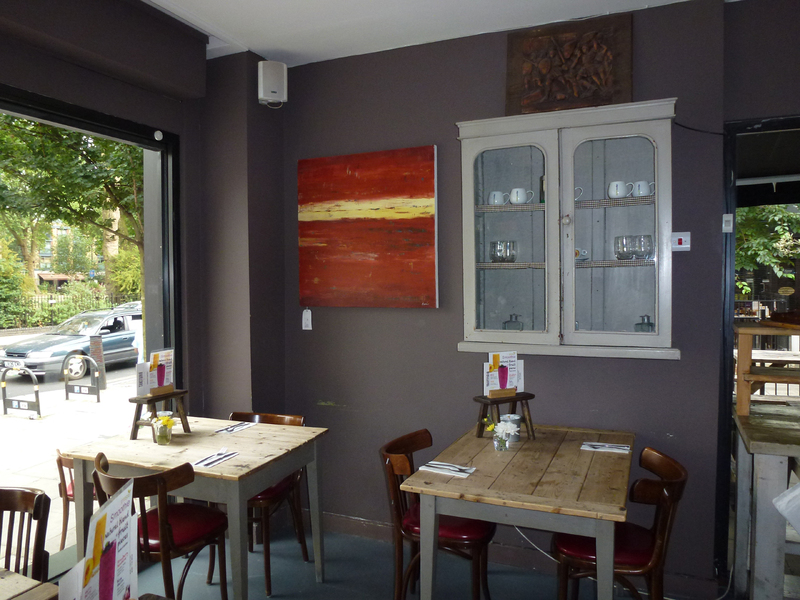 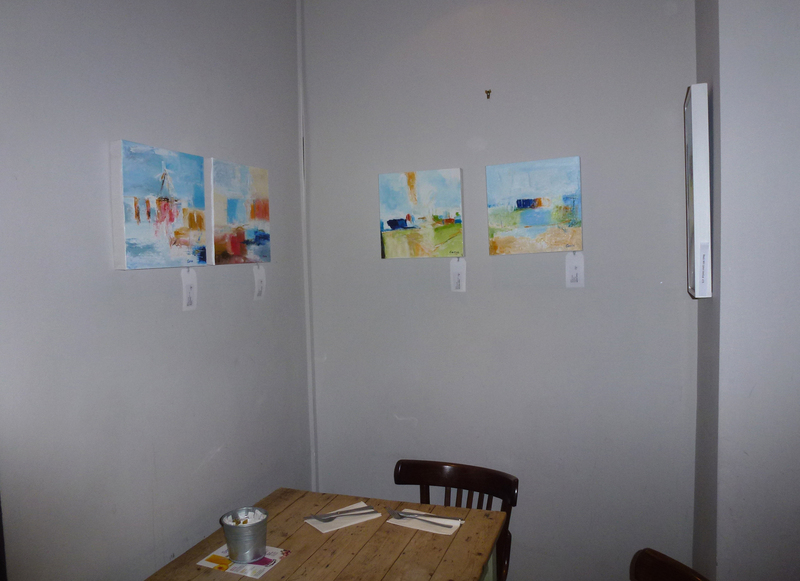 Just some of the 26 paintings hanging at Trattoria until 18th August.